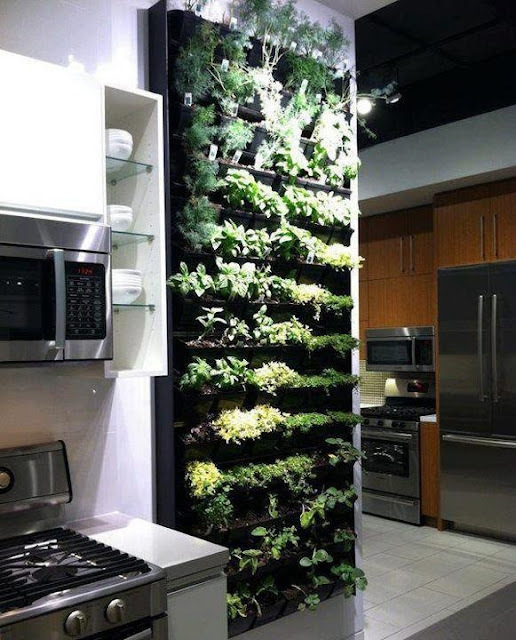 Fresh herbs from the garden always take my dishes from meh to marvelous... so I want to grow fresh herbs all year around in my kitchen. 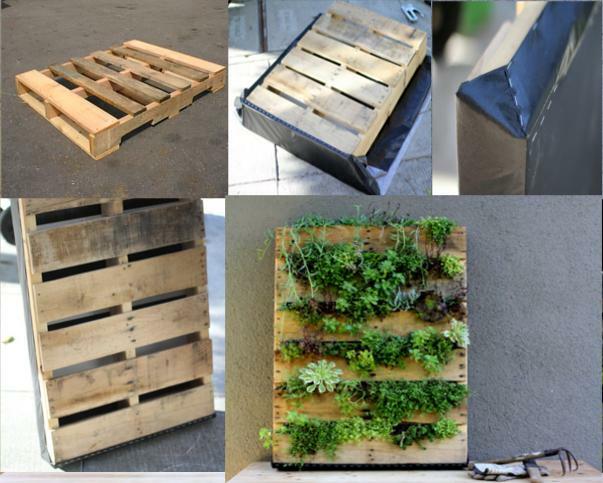 There are a few options to be had, starting with a DIY pallet planter that you can make out of old shipping pallets like these. As much as I would love to reuse old, discarded wooden shipping pallets, I am worried about some of the pressure treated wood that may contain toxins that you would then bring in to your home. I could always buy wood slats and make the planter from scratch or another option is to use other ready made wood structures like wine crates or wine holders as vertical containers. 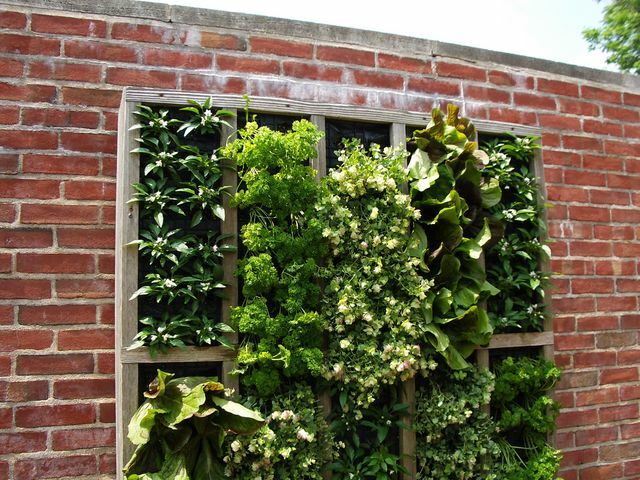 Before hanging any vertical garden, it is best to plant the herbs with the pallet flat on the ground, then water thoroughly and leave the garden horizontal for 2 weeks. That way this will allow the roots to grow and strengthen. 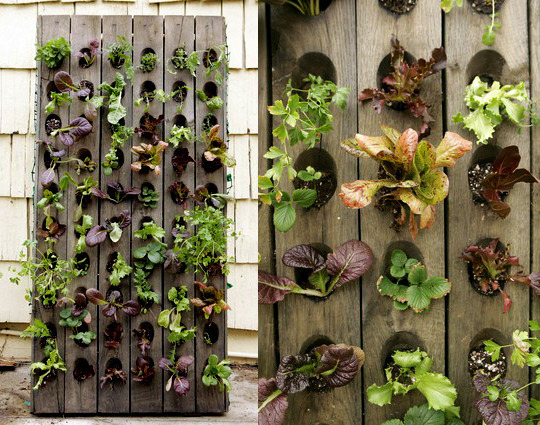 For now, I need to figure out where I can place such a planter. 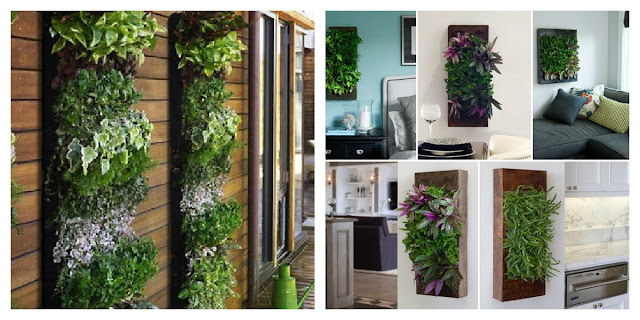 I may have to wait until we have done some renovations to our little house, so this project will have to sit on my wishlist for now. My next goal is to try to take a few steps on my hands and in the mean time I'll continue to work on my chin-ups and core to get stronger. While I was practicing, I caught a great view of the Toronto skyline. Labour day has come and gone and summer is pretty much over. I guess it is time to take my practices indoors, but you can bet your bottom dollar that I'll keep training over the winter and hopefully post a video of me taking a step or two on my hands by next summer... here's hoping.